One of the more contentious issues in the Brexit withdrawal agreement is dispute settlement, in particular whether the Court of Justice of the European Union (CJEU) still retains jurisdiction regarding the UK. This blog post first presents an overview of the issue, and then a detailed annotation of all the provisions in the withdrawal agreement relating to dispute settlement and the CJEU. This is the third in a series of blog posts on the details of the withdrawal agreement: the first two posts in turn set out an overview of the whole agreement, and an annotation of the linked political declaration on the future UK/EU relationship. I hope to continue the series with a post on the Irish border backstop and possibly another post on the legal issues of separate declarations or decisions that might try to clarify the withdrawal agreement. I’ve also annotated parts of the withdrawal agreement when it was in draft form: the blog posts on citizens’ rights and the transition period, which are both linked to dispute settlement, remain relevant because the final withdrawal agreement did not change these clauses much (except to provide for the possible extension of the transition period, for one extension of one or two years after the end of 2020). Also, I previously annotated the dispute settlement and CJEU provisions of an earlier draft of the withdrawal agreement. This text differs a lot from the final text of the withdrawal agreement, although in a few cases I have adapted my previous comments in that blog post. The drafters of the withdrawal agreement refer to existing CJEU jurisdiction several times, and the dispute settlement provisions are broadly similar to the dispute settlement rules of the World Trade Organisation (WTO). So I’ll explain here the basics of the two systems for the benefit of non-specialists. The CJEU’s most important jurisdiction – set out in Article 267 TFEU – is over preliminary rulings from national courts on the interpretation or validity of EU law. For example, see the recent Wightman case on whether the Article 50 notification can be reversed, discussed here. In that case, a Scottish court paused its proceedings, asked the CJEU to answer questions about Article 50, and will now resume its proceedings in light of the Court’s reply. The Court also has jurisdiction over direct challenges to the validity acts of the EU institutions or other bodies (Article 263 TFEU). For example, see the recent Shindler case in which UK citizens living in EU27 countries challenged the validity of the EU Council’s decision to start negotiations for the withdrawal agreement, discussed here. Finally, the Court’s other important jurisdiction is over infringement actions against Member States which have allegedly violated EU law, usually brought by the EU Commission (Article 258 TFEU; see also Article 260 TFEU, which mainly concerns fines for non-compliance with a prior judgment determining an infringement of EU law). As for the WTO, the dispute settlement rules allow any WTO Member to bring a complaint against any other WTO Member for an alleged breach of WTO rules eventually to a panel of trade experts. The panel’s findings can be appealed by either side (or both sides, if they each are unhappy about different parts of the findings) to the WTO’s Appellate Body (although this Body’s work is currently slowed down by the US government’s objections to aspects of the WTO’s functioning). If, at the end of this process, a WTO Member is found to have breached WTO rules, it has a “reasonable period of time” to comply with the ruling against it, by bringing its law in line with its WTO obligations. If there’s a dispute about how long the “reasonable period of time” should be, that can be settled by arbitration. If the losing Member then indisputably complies with the ruling in time, that’s fine. If not, then the losing Member can agree on alternative compensation with the winning Member (which could be, say, reducing its tariffs on another product which the winning Member exports a lot of to the losing Member). Failing that, the winning Member can retaliate against the losing Member by imposing trade sanctions, as long as they are equivalent to its losses due to the losing Member’s breach of WTO law. If there are disputes about whether such retaliation really is equivalent to the losses or goes “over the top”, the issue can go to arbitration. Finally, if there is an argument as to whether the losing Member has complied with the WTO ruling or not, in practice that dispute can go to arbitration as well. The crucial point is that most of the UK’s obligations under the withdrawal agreement end when the transition period ends. After that point, the UK’s obligations mainly relate to: (a) pending cases and proceedings being wrapped up; (b) the acquired rights of EU27 citizens in the UK before the end of the transition period (with matching provisions for UK citizens in the EU27 States); and (c) the “backstop” relating to the Irish border, which applies a customs union to the UK as a whole and rules on free movement of goods to Northern Ireland in particular, until replaced by another treaty. First of all, the withdrawal agreement says that the EU law principles of “direct effect” and “supremacy” in EU law still apply, to the extent that the UK is still bound by EU law. (Remember, most of those obligations end when the transition period ends). The UK is also bound by CJEU judgments delivered before the end of the transition period. In the case of judgments delivered afterward, it only has to take “due regard” of them. During the transition period, the Court’s normal rules apply to the UK. After that, the withdrawal agreement sets out rules on jurisdiction for the CJEU in cases pending at the end of the transition period, as well as cases linked to events which took place before the end of the transition period. There is also special jurisdiction over citizens’ rights (for eight years after the end of the transition period), for disputes over EU budget legislation, and for cases concerning parts of the Irish border protocol and the whole protocol on UK army bases in Cyprus. The core of the dispute settlement system in the withdrawal agreement sets out an arbitration process for resolving disputes that cannot be settled by discussion. This process is broadly similar to the WTO dispute settlement rules described above. However, it may involve the CJEU where EU law issues are involved. This was, however, an unavoidable legal “red line” for the EU side, as the case law of the CJEU provides that only the EU courts can give an interpretation of EU law that binds the EU institutions or Member States (see, for instance, Opinion 1/92). Note that this does not give the CJEU jurisdiction to settle disputes concerning the entire agreement, as some have wrongly claimed; its jurisdiction here is limited to EU law issues. But the nature of the agreement is such that it is possible that a lot of the issues being disputed concern will concern the interpretation of EU law. It’s also noteworthy that the dispute settlement rules don’t apply at all to many of the rules on labour law, environmental law, tax law and competition law which apply to the Irish border “backstop”. Note that there are different dates of entry into force and termination for these provisions. I’ve set out a time frame below which summarises in one place when each type of dispute settlement rule starts and stops, and which aspect of CJEU jurisdiction is applicable. For those who loathe the existence of the CJEU, the withdrawal agreement may be a disappointment, for it does not immediately end the Court’s jurisdiction over the UK. However, as noted above, most of that jurisdiction ends when the transition period ends, with the Court’s remaining role after that point concerning either: (a) pending proceedings or cases; (b) special jurisdiction (citizens’ rights, EU budget legislation, parts of the Irish border protocol, and the protocol on Cyprus); and (c) a possible role in the arbitration process. Much of this jurisdiction will be wound up too: there’s an eight-year time limit for the Court’s jurisdiction over citizens’ rights; the pending cases and budget legislation issues will wind down naturally; and the Irish border protocol is meant to be replaced eventually. Moreover, not all of this jurisdiction relates to the UK courts and setting aside UK law, which is the most sensitive issue for some (it might be what the UK government means when it refers to ending “direct jurisdiction” of the CJEU in the UK, although I fear that if we asked the Prime Minister to clarify, she would answer by saying: ‘“Direct jurisdiction” means “direct jurisdiction”’). In particular, despite the role of the CJEU in some arbitration cases, the arbitration process as a whole is based on general international law, not EU law; the Court of Justice is not answering in such cases to national courts applying EU law in proceedings before them. Furthermore, it should be noted that the UK government successfully obtained amendments to much of the dispute settlement text as proposed by the Commission: replacing the CJEU with arbitration as much as legally possible as regards the main dispute settlement provisions; limiting the Court’s jurisdiction over pending cases; and denying any special jurisdiction for the Court as regards the “separation provisions” in the withdrawal agreement (ie what happens to European Arrest Warrants issued by the UK to request arrest and surrender of fugitives in the EU27, or vice versa, if those warrants have not been executed already by the end of the transition period). Like everything else in the withdrawal agreement, the role of the CJEU is a complex compromise, in which the links with the EU are essentially unchanged during the transition period but are curtailed significantly after that – and then continue to diminish further. The withdrawal agreement might entail several dozen more judgments of the CJEU directly concerning the UK after Brexit. Perhaps those who find this prospect ideologically so unacceptable that they would rather leave the EU without any agreement, with the economic dislocation that will result, should offer to compensate any of their fellow citizens who suffer as a result? 1. The provisions of this Agreement and the provisions of Union law made applicable by this Agreement shall produce in respect of and in the United Kingdom the same legal effects as those which they produce within the Union and its Member States. Accordingly, legal or natural persons shall in particular be able to rely directly on the provisions contained or referred to in this Agreement which meet the conditions for direct effect under Union law. 3. The provisions of this Agreement referring to Union law or to concepts or provisions thereof shall be interpreted and applied in accordance with the methods and general principles of Union law. 5. In the interpretation and application of this Agreement, the United Kingdom's judicial and administrative authorities shall have due regard to relevant case law of the Court of Justice of the European Union handed down after the end of the transition period. Comments: Article 4 does not confer any jurisdiction on the CJEU as such. However, it addresses two related issues: the legal effect of the agreement and the EU law it refers to, as well as the impact of CJEU case law. Its practical relevance will diminish over time, in particular when the transition period ends and the UK’s obligations under the agreement are hugely truncated. (See my overview of the entire agreement). As noted above, the transition period will end at the end of 2020, unless extended. Article 4(1) retains the EU law principle of “direct effect”, as well as other principles on the legal effect of EU law, as regards the agreement itself and EU law made applicable by the agreement. (Note that Articles 2(a) and 6 define “Union law” for the purposes of the agreement). Article 4(2) reflects the principle of supremacy of EU law, meaning that national measures incompatible with the withdrawal agreement will have to be disapplied by the courts. Due to its cross-reference to Article 4(1), it applies to the agreement itself and to EU law made applicable by the agreement. Article 4(3) is a general provision, supplemented by the following two paras, on the interpretation of the EU law referred to in the agreement in conformity with EU law principles. (Again, note that Articles 2(a) and 6 define “Union law” for the purposes of the agreement). Article 4(4) means that CJEU case law on the interpretation of the EU law referred to in the agreement up until the end of the transition/implementation period will be binding upon the UK. Again, Articles 2(a) and 6 define “Union law” for the purposes of the agreement. It is not clear if this provision will still have much effect (other than the citizens’ rights in Part Two, which refers extensively to EU law) after the end of the transition period, given that the scope of EU law binding the UK will be hugely reduced from that point. Article 4(5) requires the UK to “have due regard” to CJEU case law on the agreement handed down after the end of the transition period. It differs from Article 4(4) as regards both the extent of the obligation and the law it refers to: the agreement, rather than the EU law referred to in it. Note that Article 15 of the Protocol on Northern Ireland applies even CJEU case law after the end of the transition period, within the context of that Protocol, as a derogation from Article 4. So does the protocol on military bases in Cyprus, discussed further below. 1. The Court of Justice of the European Union shall continue to have jurisdiction in any proceedings brought by or against the United Kingdom before the end of the transition period. Such jurisdiction shall apply to all stages of proceedings, including appeal proceedings before the Court of Justice and proceedings before the General Court where the case is referred back to the General Court. 2. 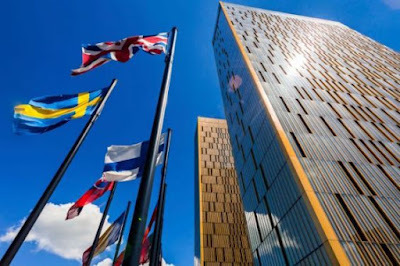 The Court of Justice of the European Union shall continue to have jurisdiction to give preliminary rulings on requests from courts and tribunals of the United Kingdom made before the end of the transition period. 3. For the purposes of this Chapter, proceedings shall be considered as having been brought before the Court of Justice of the European Union, and requests for preliminary rulings shall be considered as having been made, at the moment at which the document initiating the proceedings has been registered by the registry of the Court of Justice or the General Court, as the case may be. Comments: this regulates the position of cases pending before the CJEU concerning the UK at the end of the transition period. As discussed below, the Court’s usual jurisdiction applies during the transition period, and so this provision – like the other separation provisions in the agreement – sets out what happens at the end of that period to pending cases, namely that they continue to fall within the Court’s jurisdiction as long as they have been brought before the Court before the end of that period, as defined in para 3. Para 2 explicitly covers preliminary rulings requested by UK courts, and para 1 covers infringement actions against the UK and annulment actions brought by the UK. 1. If the European Commission considers that the United Kingdom has failed to fulfil an obligation under the Treaties or under Part Four of this Agreement before the end of the transition period, the European Commission may, within 4 years after the end of the transition period, bring the matter before the Court of Justice of the European Union in accordance with the requirements laid down in Article 258 TFEU or the second subparagraph of Article 108(2) TFEU, as the case may be. The Court of Justice of the European Union shall have jurisdiction over such cases. 2. If the United Kingdom does not comply with a decision referred to in Article 95(1) of this Agreement, or fails to give legal effect in the United Kingdom's legal order to a decision, as referred to in that provision, that was addressed to a natural or legal person residing or established in the United Kingdom, the European Commission may, within 4 years from the date of the decision concerned, bring the matter to the Court of Justice of the European Union in accordance with the procedural requirements laid down in Article 258 TFEU or the second subparagraph of Article 108(2) TFEU, as the case may be. The Court of Justice of the European Union shall have jurisdiction over such cases. Comments: This provision provides for limited jurisdiction for new cases to be brought after the end of the transition period, but this is dependent upon the dispute in question relating back to before the end of the transition period. Para 1 sets out this power in relation to infringement proceedings or actions relating to State aid (Article 108). But there is a four-year time limit from the end of the transition period to bring such cases. This time limit has been added since the March draft of the withdrawal agreement, as has the reference to State aid proceedings. This limit is a victory for the UK. Also the UK won a victory as regards preliminary rulings, as the March draft provided that cases pending in the UK courts at the end of the transition period which concerned EU law issues could still be sent to the CJEU for a preliminary ruling after that point. This prospect has disappeared entirely. Para 2 concerns jurisdiction over infringement actions to enforce a final decision concerning an EU administrative proceeding which was pending at the end of the transition period, but where a decision was made afterward. This was moved here from another part of the March draft. Again, a four-year deadline was added. The provisions of Union law governing the procedure before the Court of Justice of the European Union shall apply in respect of the proceedings and requests for preliminary rulings referred to in this Title. Comments: this applies the Treaty and rules of procedure regulating CJEU proceedings to all legal actions referred to in this Title (Articles 86-91). Article 267 TFEU preliminary rulings are mentioned explicitly. 2. If, in a judgment referred to in paragraph 1, the Court of Justice of the European Union finds that the United Kingdom has failed to fulfil an obligation under the Treaties or this Agreement, the United Kingdom shall take the necessary measures to comply with that judgment. 3. Articles 280 and 299 TFEU shall apply in the United Kingdom in respect of the enforcement of the judgments and orders of the Court of Justice of the European Union referred to in paragraph 1 of this Article. Comment: Some misconstrued this provision as giving the CJEU indefinite jurisdiction, but it clearly does not. It only refers to other jurisdiction in the agreement, as regards rulings made during the transition period (on which, see below), or after the transition period where the case was pending at the end of the transition period (Article 86), or related to disputes that go back to the transition period (Article 87). As noted in the discussion of Article 158 below, it is a legal requirement stemming from CJEU case law that the Court’s judgments – to the extent it has jurisdiction – are always binding. Paragraph 2 reflects the wording of Article 260(1) TFEU, which requires Member States to comply with judgments of the Court in infringement actions, finding that they have infringed EU law. Article 280 TFEU simply provides that CJEU judgments are enforceable under the conditions set out in Article 299 TFEU, while Article 299 TFEU lays out the details of how EU measures are enforceable under national law. Until the judgments and orders of the Court of Justice of the European Union in all proceedings and requests for preliminary rulings referred to in Article 86 have become final, the United Kingdom may intervene in the same way as a Member State or, in the cases brought before the Court of Justice of the European Union in accordance with Article 267 TFEU, participate in the procedure before the Court of Justice of the European Union in the same way as a Member State. During that period, the Registrar of the Court of Justice of the European Union shall notify the United Kingdom, at the same time and in the same manner as the Member States, of any case referred to the Court of Justice of the European Union for a preliminary ruling by a court or tribunal of a Member State. (c) in relation to the cases referred to in Article 95(3). Comment: the UK will be able to intervene or participate in cases as a non-EU state (see Article 23 of the CJEU Statute, which allows this already if a treaty between the EU and a non-EU State provides for it). This Article gives a lengthy time period for the UK to intervene in such cases: essentially until the last cases brought under Articles 86 or 87 of this agreement have been decided by the CJEU, or (point (c)) where a challenge to an EU administrative decision affecting the UK has been brought. 1. Without prejudice to Article 88, where, before the end of the transition period, a lawyer authorised to practise before the courts or tribunals of the United Kingdom represented or assisted a party in proceedings before the Court of Justice of the European Union or in relation to requests for preliminary rulings made before the end of the transition period, that lawyer may continue to represent or assist that party in those proceedings or in relation to those requests. This right shall apply to all stages of proceedings, including appeal proceedings before the Court of Justice and proceedings before the General Court after a case has been referred back to it. 2. Without prejudice to Article 88, lawyers authorised to practise before the courts or tribunals of the United Kingdom may represent or assist a party before the Court of Justice of the European Union in the cases referred to in Article 87 and Article 95(3). Lawyers authorised to practise before the courts or tribunals of the United Kingdom may also represent or assist the United Kingdom in the proceedings covered by Article 90 in which the United Kingdom has decided to intervene or participate. 3. When representing or assisting a party before the Court of Justice of the European Union in the cases referred to in paragraphs 1 and 2, lawyers authorised to practise before the courts or tribunals of the United Kingdom shall in every respect be treated as lawyers authorised to practise before courts or tribunals of Member States representing or assisting a party before the Court of Justice of the European Union. Comment: this preserves rights of audience of UK lawyers in relevant cases. 1. Decisions adopted by institutions, bodies, offices and agencies of the Union before the end of the transition period, or adopted in the procedures referred to in Articles 92 and 93 after the end of the transition period, and addressed to the United Kingdom or to natural and legal persons residing or established in the United Kingdom, shall be binding on and in the United Kingdom. 2. Unless otherwise agreed between the European Commission and the designated national competition authority of the United Kingdom, the European Commission shall continue to be competent to monitor and enforce commitments given or remedies imposed in, or in relation to, the United Kingdom in connection with any proceedings for the application of Articles 101 or 102 TFEU conducted by the European Commission under Regulation (EC) No 1/2003 or proceedings conducted by the European Commission under Regulation (EC) No 139/2004 in connection with the control of concentrations between undertakings. If so agreed between the European Commission and the designated national competition authority of the United Kingdom, the European Commission shall transfer the monitoring and enforcement of such commitments or remedies in the United Kingdom to the designated national competition authority of the United Kingdom. 3. The legality of a decision referred to in paragraph 1 of this Article shall be reviewed exclusively by the Court of Justice of the European Union in accordance with Article 263 TFEU. 4. Article 299 TFEU shall apply in the United Kingdom in respect of the enforcement of decisions referred to in paragraph 1 of this Article that impose pecuniary obligations on natural and legal persons residing or established in the United Kingdom. Comment: Articles 92 and 93 of the agreement give power to EU bodies to continue proceedings relating to the UK if those proceedings were launched before the end of the transition period (Article 92), or relate to events taking place before the end of the transition period, where there is a four-year period where the EU institutions may act (Article 93). This relates to competition, State aid, mergers, financial services regulation, and anti-fraud measures. Paragraph 1 makes decisions on the basis of those Articles binding. Those decisions can be challenged, according to para 3, on the basis of the annulment action jurisdiction in Article 263 TFEU. Paragraph 2 gives continuing powers to the Commission to monitor the application of competition or mergers legislation, although there is an option to transfer that power to the relevant UK agency. Paragraph 4 concerns the enforceability of decisions: as noted above, Article 299 TFEU lays out the details of how such decisions are enforceable under national law. Article 87(2), discussed above, gives the Court jurisdiction on an infringement action if the UK does not give effect to decisions delivered pursuant to Article 95. Article 90(c) provides for rights of intervention for the UK if there are legal challenges under Article 95(3). During the transition period, the institutions, bodies, offices and agencies of the Union shall have the powers conferred upon them by Union law in relation to the United Kingdom and to natural and legal persons residing or established in the United Kingdom. In particular, the Court of Justice of the European Union shall have jurisdiction as provided for in the Treaties. The first paragraph shall also apply during the transition period as regards the interpretation and application of this Agreement. Comments: the ordinary jurisdiction of the CJEU will apply to the UK during the transition period. As noted already, this period will last until the end of 2020, except a single decision can extend it by one or two years (Article 126). The issue of what happens if cases are pending at the end of that period is addressed by Articles 86-91, discussed above. The position during the transition period differs in that the UK does not have any judges or Advocates-General on the EU courts (see Article 7 of the agreement). 1. Where, in a case which commenced at first instance within 8 years from the end of the transition period before a court or tribunal in the United Kingdom, a question is raised concerning the interpretation of Part Two of this Agreement, and where that court or tribunal considers that a decision on that question is necessary to enable it to give judgment in that case, that court or tribunal may request the Court of Justice of the European Union to give a preliminary ruling on that question. However, where the subject matter of the case before the court or tribunal in the United Kingdom is a decision on an application made pursuant to Article 18(1) or (4) or pursuant to Article 19, a request for a preliminary ruling may be made only where the case commenced at first instance within a period of 8 years from the date from which Article 19 applies. 2. The Court of Justice of the European Union shall have jurisdiction to give preliminary rulings on requests pursuant to paragraph 1. The legal effects in the United Kingdom of such preliminary rulings shall be the same as the legal effects of preliminary rulings given pursuant to Article 267 TFEU in the Union and its Member States. 3. In the event that the Joint Committee adopts a decision under Article 132(1), the period of eight years referred to in the second subparagraph of paragraph 1 shall be automatically extended by the corresponding number of months by which the transition period is extended. Comments: As noted already, the transition period will end at the end of 2020, unless there is a single decision to extend that period by one or two years. Para 3 makes clear that if the transition period is extended, the 8-year special jurisdiction for the CJEU will start running from the later date. “Part Two” refers to the provisions on citizens’ rights, which only apply from the end of the transition period (see Article 185). The Court’s jurisdiction is slightly less than it is under Article 267 TFEU in that final courts in the UK are not obliged as a rule to refer cases under this Article, whereas they are under Article 267 TFEU. However, the legal effects of such rulings are the same as under Article 267, ie binding and setting aside conflicting national law (see also Article 4, discussed above). It would not have been legally possible to provide for non-binding jurisdiction of the CJEU, because the CJEU has ruled that its judgments (where its jurisdiction exists) must always be binding, even as regards non-EU states (see Opinion 1/91, para 38). It is implicit that the Court’s other jurisdiction (notably on infringement proceedings) will not apply. As noted already, according to Article 185, this provision – and the whole of Title I of Part Six (Articles 158 to 163) will only apply from the end of the transition/implementation period. That temporal limitation appears in the text of Article 158, but not Articles 159 to 163. As the Court’s jurisdiction will explicitly apply as long as a case was first brought before the UK courts before the end of the eight-year period, it is necessarily implicit that it will retain jurisdiction to rule on cases pending at the end of that period even if it has not ruled (or been asked to rule) on such cases at that point. (Compare with Article 86, discussed above). It should be noted that there is no time limit on the CJEU’s jurisdiction to rule on the application of this agreement as regards UK citizens in the EU27, if the national courts in the EU27 ask for a ruling. Nor is there any other limit on its jurisdiction relating to UK citizens in the EU27 (ie final courts will in principle have to send cases concerning them to the CJEU; infringement proceedings can apply). As the UK’s notice on ‘no deal’ implications for EU27 citizens (discussed here) observes, the CJEU would have no jurisdiction on EU27 citizens in the UK if the withdrawal agreement is not ratified. As I discuss in the other blog post, there would in that scenario be fewer EU law rules applicable to UK citizens in the EU27. 1. In the United Kingdom, the implementation and application of Part Two shall be monitored by an independent authority (the "Authority") which shall have powers equivalent to those of the European Commission acting under the Treaties to conduct inquiries on its own initiative concerning alleged breaches of Part Two by the administrative authorities of the United Kingdom and to receive complaints from Union citizens and their family members for the purposes of conducting such inquiries. The Authority shall also have the right, following such complaints, to bring a legal action before a competent court or tribunal in the United Kingdom in an appropriate judicial procedure with a view to seeking an adequate remedy. 2. 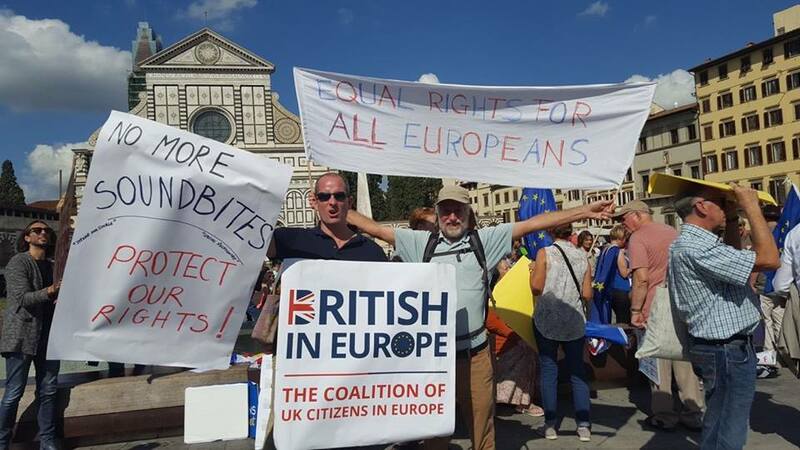 The European Commission and the Authority shall each annually inform the specialised Committee on citizens' rights referred to in point (a) of Article 165(1) on the implementation and application of Part Two in the Union and in the United Kingdom, respectively. The information provided shall, in particular, cover measures taken to implement or comply with Part Two and the number and nature of complaints received. 3. The Joint Committee shall assess, no earlier than 8 years after the end of the transition period, the functioning of the Authority. Following such assessment, it may decide, in good faith, pursuant to point (f) of Article 164(4) and Article 166, that the United Kingdom may abolish the Authority. Comments: The Authority will have power to: a) “to receive complaints from Union citizens and their family members”; b) “to conduct inquiries on its own initiative concerning alleged breaches” of the rules by UK “administrative authorities”; and c) to “bring a legal action before a competent court or tribunal in the United Kingdom in an appropriate judicial procedure with a view to seeking adequate remedy”, if it believes that the administration does not react appropriately. Implicitly it will not be able to make its own binding decisions on complaints brought to it. Some text was deleted from the first draft of this Article, which had also provided that the Authority was “without prejudice” to other remedies. But such other remedies remain available, in light of the express wording of the citizens’ rights provisions on remedies, as well as Article 158. The final draft also dropped text saying that: the authority “may make its findings public”; it “shall inform” the Commission on legal actions and “may consult” it beforehand; the Commission may also suggest that the authority brings such actions. If the withdrawal agreement is ratified, the UK Bill to implement it might go into more details about the Authority, including guarantees of independence, staff and funding. It may also be necessary to address what happens if the authority gives a disappointing reply to a complaint, or fails to reply within a reasonable time. Is there a remedy against the authority in that case? Must its decisions be reasoned? There are also questions of whether there will be time limits upon bringing complaints, or upon the authority bringing legal proceedings. The authority does not appear to have the power to bring proceedings as regards general changes to the law, or to comment on them. It seems to have the discretion whether to make its proceedings public. It is not clear that the authority’s power to bring proceedings can lead to a remedy directly for the complainant; and it would be useful if the authority could submit observations in cases which it didn’t bring itself, by analogy with Articles 161 and 162. Substantively, the definition of “family members” logically entails an implied cross-reference to the definition in Article 9, in light of the reference to Part Two. “Union citizens” are defined in Article 2, which applies to the entire agreement. Note that according to Article 185, this provision will only apply from the end of the transition/implementation period. This is problematic, since even though Part Two will not apply until the end of the transition period, the UK will be rolling out a “settled status” scheme well before that time, and EU27 nationals may need the assistance this body will offer as soon as possible after Brexit day. Note that the UK’s notice on “no deal” implications for EU27 citizens (discussed here) is silent on the question of whether this Authority would still be set up in a no deal scenario. There would be no legal obligation to do so, but the UK could choose to set an Authority up unilaterally. Without prejudice to Article 87 of this Agreement, Articles 258, 260, and 267 TFEU shall apply in respect of the interpretation and application of applicable Union law referred to in Article 136 and Article 138(1) or (2) of this Agreement. To this effect, any reference made in Articles 258, 260, and 267 TFEU to a Member State shall be understood as including the United Kingdom. Comment: This gives the CJEU its jurisdiction as regards infringement actions and preliminary rulings over cases concerning the references to EU budget law in Part Five (financial settlement), which will still apply after the end of the transition/implementation period to the extent that payments are made after that date, which will diminish over time. Compared to the earlier drafts, continued jurisdiction over the separation provisions (Part Three) was dropped from this Article. According to Article 168, this provision will only apply from the end of the transition/implementation period. As noted above, the Court’s ordinary jurisdiction will apply up until to the end of that period. Unlike Article 158, there is no time limit on the jurisdiction in this Article, but as noted already, this jurisdiction will become less relevant over time. The cross-reference to Article 87 covers cases brought for a limited period after the end of the transition/implementation period, if they related to events before that deadline (see discussion above) which the CJEU will still have jurisdiction to decide. 1. Where a court or tribunal of a Member State refers a question concerning the interpretation of this Agreement to the Court of Justice of the European Union for a preliminary ruling, the decision of the national court or tribunal containing that question shall be notified to the United Kingdom. 2. The provisions of Union law governing procedures brought before the Court of Justice of the European Union in accordance with Article 267 TFEU shall apply mutatis mutandis to requests for a ruling of the Court of Justice of the European Union made pursuant to Article 158 of this Agreement. The provisions of Union law governing the procedure before the Court of Justice of the European Union shall apply in respect of the proceedings before the Court of Justice of the European Union and requests for preliminary rulings made in accordance with Article 160 of this Agreement. (b) lawyers authorised to practise before the courts or tribunals of the United Kingdom shall be entitled to represent or assist any parties to such proceedings before the Court of Justice of the European Union; in such cases those lawyers shall in every respect be treated as lawyers authorised to practise before courts of Member States representing or assisting a party before the Court of Justice of the European Union. Comment: this Article is similar to Articles 90 and 91, discussed above, which give the UK rights to participate in proceedings and UK lawyers a right of audience in relevant cases. Where the consistent interpretation and application of this Agreement so requires, the European Commission may submit written observations to the courts and tribunals of the United Kingdom in pending cases where the interpretation of the Agreement is concerned. The European Commission may, with the permission of the court or tribunal in question, also make oral observations. The European Commission shall inform the United Kingdom of its intention to submit observations before formally making such submissions. Comments: This Article has been expanded in scope compared to the March draft, when it only referred to Part Two on citizens’ rights. According to Article 185, this provision will only apply from the end of the transition/implementation period. However, it will not expire after any particular period, although the number of cases concerning the Agreement in the UK courts is likely to be much less after the end of the transition period, due to the hugely reduced scope of obligations for the UK. As far as I know this explicit power to intervene in a national court proceeding is novel, although it could be compared to the Commission’s power to make observations in EFTA Court proceedings. It overlaps with the Authority’s power to bring cases on citizens’ rights (Article 159), and (for a number of years) with the UK courts’ ability to ask the CJEU questions about the citizens’ rights in Part Two, or the budget legislation referred to in Article 160. Note that Article 11(2) and (3) of Annex 4 to the Northern Ireland protocol (not reproduced here) also gives the right to the Commission to bring proceedings or intervene in UK courts as regards State aids. In order to facilitate the consistent interpretation of this Agreement and in full deference to the independence of courts, the Court of Justice of the European Union and the United Kingdom's highest courts shall engage in regular dialogue, analogous to the dialogue in which the Court of Justice of the European Union engages with the highest courts of the Member States. Comments: this provision is not limited in time (although it only applies from the end of the transition period, according to Article 185), or the specific parts of the agreement. The Union and the United Kingdom shall at all times endeavour to agree on the interpretation and application of this Agreement, and shall make every attempt, through cooperation and consultations, to arrive at a mutually satisfactory resolution of any matter that might affect its operation. Comment: This is a “best endeavours” Article that points toward trying to find political solutions to disputes. It does not include any specific legal obligations but could nevertheless be relevant in practice, given that disputes under the EU’s free trade agreements are usually settled diplomatically. In accordance with Article 185, it applies as soon as the agreement enters into force, with no time limit on its application. Comment: This Article prevents using other means besides those in the agreement to settle disputes, unless the agreement itself is amended. In accordance with Article 185, it applies as soon as the agreement enters into force, with no time limit on its application. 1. The Union and the United Kingdom shall endeavour to resolve any dispute regarding the interpretation and application of the provisions of this Agreement by entering into consultations in the Joint Committee in good faith, with the aim of reaching a mutually agreed solution. A party wishing to commence consultations shall provide written notice to the Joint Committee. 2. Any communication or notification between the Union and the United Kingdom provided for in this Title shall be made within the Joint Committee. Comment: the starting point for dispute settlement is discussions in the Joint Committee, with a view to reaching a political settlement. This is comparable to consultations under Article 4 of the WTO Dispute Settlement Understanding. It is not clear what precise legal powers the Joint Committee would be exercising as regards dispute settlement, however. In accordance with Article 185, this Article, and the remaining dispute settlement provisions, apply from the end of the transition period, with no time limit on their application. 1. Without prejudice to Article 160, if no mutually agreed solution has been reached within 3 months after a written notice has been provided to the Joint Committee in accordance with Article 169(1), the Union or the United Kingdom may request the establishment of an arbitration panel. Such request shall be made in writing to the other party and to the International Bureau of the Permanent Court of Arbitration. The request shall identify the subject matter of the dispute to be brought before the arbitration panel and a summary of the legal arguments in support of the request. 2. The Union and the United Kingdom may agree that the establishment of an arbitration panel may be requested before the expiry of the time limit laid down in paragraph 1. Comment: once a dispute has been brought to the Joint Committee but has not been settled within three months, either party can send it to arbitration. Before that point, the two parties can jointly agree to send it to arbitration. This is different from the March 2018 draft, where the same time limits applied, but the CJEU would have had jurisdiction, not arbitrators. This Article is comparable to Article 6 of the WTO Dispute Settlement Understanding, where there is a right to a panel to settle disputes within a specified period of time. A large part of the ‘level playing field’ rules in Annex 4 to the Protocol on Northern Ireland are excluded from the scope of Articles 170-181, with the consequence that there are limited means of enforcing them. In particular, the dispute settlement rules do not apply to: (a) most of the tax obligations (Article 1(5) of the Annex), except the obligation to apply some specific tax laws on tax cooperation, tax avoidance and financial reporting in Article 1(2)); (b) the substantive environmental obligations (Article 2(7)), although the dispute settlement rules apply to the enforcement obligations in Article 3; (c) the substantive employment law obligations (Articles 4(2) and 5(4)), although the dispute settlement rules apply to the enforcement obligations in Article 6; or (d) the provisions on competition law (Article 24(2)), except the obligation to enforce competition law effectively set out in Article 24(1). Note that there is no exclusion of dispute settlement for the State aid rules in Articles 7 to 15 of the Annex, or the public ownership rules in Article 25 of the Annex. Articles 170-179 are disapplied as regards EU reaction to the UK infringing the customs union rules in the Northern Ireland protocol (see Article 6 of that protocol), although the same Article oddly goes on to say that the general dispute settlement rules in Part Six apply. I suspect that this Article will not be submitted for any legal drafting awards. 1. The Joint Committee shall, no later than by the end of the transition period, establish a list of 25 persons who are willing and able to serve as members of an arbitration panel. To that end, the Union and the United Kingdom shall each propose ten persons. The Union and the United Kingdom shall also jointly propose five persons to act as chairperson of the arbitration panel. The Joint Committee shall ensure that the list complies with these requirements at any moment in time. 2. The list established pursuant to paragraph 1 shall only comprise persons whose independence is beyond doubt, who possess the qualifications required for appointment to the highest judicial office in their respective countries or who are jurisconsults of recognised competence, and who possess specialised knowledge or experience of Union law and public international law. That list shall not comprise persons who are members, officials or other servants of the Union institutions, of the government of a Member State, or of the government of the United Kingdom. 3. An arbitration panel shall be composed of five members. 4. Within 15 days of the date of a request in accordance with Article 170, the panel shall be established in accordance with paragraphs 5 and 6. 5. The Union and the United Kingdom shall each nominate two members from among the persons on the list established under paragraph 1. The chairperson shall be selected by consensus by the members of the panel from the persons jointly nominated by the Union and the United Kingdom to serve as a chairperson. In the event that the members of the panel are unable to agree on the selection of the chairperson within the time limit laid down in paragraph 4, the Union or the United Kingdom may request the Secretary-General of the Permanent Court of Arbitration to select the chairperson by lot from among the persons jointly proposed by the Union and the United Kingdom to act as chairperson. 6. The Secretary-General of the Permanent Court of Arbitration shall make the selection referred to in second subparagraph of paragraph 5 within 5 days of the request referred to in paragraph 5. Representatives of the Union and of the United Kingdom shall be entitled to be present at the selection. 7. The date of establishment of the arbitration panel shall be the date on which the selection procedure is completed. 8. In the event that the list referred to in paragraph 1 has not been established by expiry of the time limit laid down in paragraph 4, the Union and the United Kingdom shall within 5 days each nominate two persons to serve as members of the panel. If persons have been proposed under paragraph 1, the nominations shall be made from among those persons. The chairperson shall then be appointed in accordance with the procedure set out in paragraph 5. In the event that the Union and the United Kingdom have not, within a further 5 days, jointly proposed at least one person to serve as chairperson, the Secretary-General of the Permanent Court of Arbitration shall within five days, after consultation with the Union and the United Kingdom, propose a chairperson who fulfils the requirements of paragraph 2. Unless either the Union or the United Kingdom objects to that proposal within 5 days, the person proposed by the Secretary-General of the Permanent Court of Arbitration shall be appointed. 9. In the event of failure to establish an arbitration panel within 3 months from the date of the request made pursuant to Article 170, the Secretary-General of the Permanent Court of Arbitration shall, upon request by either the Union or the United Kingdom, within 15 days of such request, after consultation with the Union and the United Kingdom, appoint persons who fulfil the requirements of paragraph 2 of this Article to constitute the arbitration panel. Comments: This Article is comparable to Article 8 of the WTO Dispute Settlement Understanding, although there are different ‘tie-break’ rules as regards the final arbitrator, the qualifications are different, and there are five arbitrators instead of the usual three WTO panellists. Dispute settlement procedures set out in this Title shall be governed by the rules of procedure set out in Part A of Annex IX ("Rules of Procedure"), the Joint Committee shall keep the functioning of those dispute settlement procedures under constant review and may amend the Rules of Procedure. Comments: Appendix 3 to the WTO Dispute Settlement Understanding, referred to in Article 12 of the DSU, similarly sets out working procedures for dispute settlement panels. 1. The arbitration panel shall notify its ruling to the Union, the United Kingdom and the Joint Committee within 12 months from the date of establishment of the arbitration panel. Where the arbitration panel considers that it cannot comply with this time limit, its chairperson shall notify the Union and the United Kingdom in writing, stating the reasons for the delay and the date on which the panel intends to conclude its work. 2. Within 10 days of the establishment of the arbitration panel the Union or the United Kingdom may submit a reasoned request to the effect that the case is urgent. In that case, the arbitration panel shall give a ruling on the urgency within 15 days from the receipt of such request. If it has determined the urgency of the case, the arbitration panel shall make every effort to notify its ruling to the Union and the United Kingdom within 6 months from the date of its establishment. Comments: para 1 can be compared to Article 12(8) and (9) of the DSU, and even copies some of the wording of Article 12(9). The WTO rules say that panels must report within six months, with a maximum extension to nine months. These deadlines are not always kept, which may explain why the withdrawal agreement provides for more flexibility: a 12-month deadline, with no absolute deadline if the arbitrators fail to meet it. Paragraph 2 can also be compared to Article 12(8) and (9) of the DSU, which set a three-month deadline for urgent cases, with a possible extension to nine months. The six-month deadline for urgent cases in the withdrawal agreement is more flexible, especially since the deadline is not absolute (“shall make every effort”). Note that Article 174(3) suspends the time limits in this Article if a case is referred to the CJEU. The arbitration panel shall make the request referred to in the first subparagraph after having heard the parties. 2. Without prejudice to the first sentence of the first subparagraph of paragraph 1, if the Union or the United Kingdom considers that a request in accordance with paragraph 1 is to be made, it may make submissions to the arbitration panel to that effect. In such case, the arbitration panel shall submit the request in accordance with paragraph 1 unless the question raised does not concern the interpretation of a concept of Union law, interpretation of a provision of Union law referred to in this Agreement, or does not concern whether the United Kingdom has complied with its obligations under Article 89(2). The arbitration panel shall provide reasons for its assessment. Within 10 days following the assessment, either party may request the arbitration panel to review its assessment, and a hearing shall be organised within 15 days of the request for the parties to be heard on the matter. The arbitration panel shall provide reasons for its assessment. 3. In the cases referred to in paragraphs 1 and 2, the time limits laid down in Article 173 shall be suspended until the Court of Justice of the European Union has given its ruling. The arbitration panel shall not be required to give its ruling less than 60 days from the date on which the Court of Justice of the European Union has given its ruling. 4. The first subparagraph of Article 161(2) and Article 161(3) shall apply mutatis mutandis to the procedures brought before the Court of Justice of the European Union in accordance with this Article. Comment: this provision gives jurisdiction to the CJEU to interpret EU law issues (defined as three categories of issues) upon request of the arbitration panel. Article 89(2), discussed above, concerns the UK’s obligations to comply with CJEU rulings in cases pending at the end of the transition period, or relating to events which occurred before the end of the transition period, as further defined in Articles 86 and 87. The Court’s rulings must always be binding, as noted already. It was always going to be difficult to avoid CJEU jurisdiction over this issue, because its case law going back to Opinion 1/92 states that the CJEU must give final rulings whenever there is an issue of interpretation of EU law between the EU and non-EU countries. Since a lot of the withdrawal agreement concerns EU law, it is possible that Article 174 will be frequently invoked, although it is also possible that disputes about the interpretation of EU law can be settled politically: the equivalent provisions of EU association agreements have never been used to date. The Article goes in to some procedural detail about a request to the CJEU: the parties must be heard before the arbitrators decide to refer the issue, the UK or EU side can request the reference and make submissions on the issue, a refusal to refer to the CJEU must be reviewed upon request with a hearing, and reasons must be given for the assessment. The deadlines for arbitration in Article 173 are suspended until the CJEU judgment, and the arbitrators have 60 days at least to consider the impact of the Court’s ruling. Paragraph 4 means that the Treaty rules on preliminary rulings from national courts, and the rules on UK interventions and rights of audience of UK lawyers, will apply to references to the CJEU from the arbitrators. The arbitration panel ruling shall be binding on the Union and the United Kingdom. The Union and the United Kingdom shall take any measures necessary to comply in good faith with the arbitration panel ruling and shall endeavour to agree on the period of time to comply with the ruling in accordance with the procedure in Article 176. Comments: the final ruling is binding but the timing and follow-up measures are determined by the following Articles of the withdrawal agreement, which have more in common with WTO dispute settlement rules than they do with ordinary EU law. 1. No later than 30 days after the notification of the arbitration panel ruling to the Union and the United Kingdom, the respondent shall, if the panel has ruled in favour of the complainant, notify the complainant of the time it considers it will require for compliance (the "reasonable period of time"). 2. If there is disagreement between the Union and the United Kingdom on the reasonable period of time to comply with the arbitration panel ruling, the complainant shall, within 40 days of the notification by the respondent under paragraph 1, request the original arbitration panel in writing to determine the length of the reasonable period of time. Such request shall be notified simultaneously to the respondent. The arbitration panel shall notify its decision on the period for compliance to the Union and the United Kingdom within 40 days of the date of submission of the request. 3. In the event of the original arbitration panel, or some of its members, being unable to reconvene to consider a request under paragraph 2, a new arbitration panel shall be established as set out in Article 171. The time limit for notifying the decision shall be 60 days from the date of establishment of the new arbitration panel. 4. The respondent shall inform the complainant in writing of its progress in complying with the arbitration panel ruling referred to in Article 173 at least 1 month before the expiry of the reasonable period of time. 5. The reasonable period of time may be extended by mutual agreement of the Union and the United Kingdom. Comments: the concept of a reasonable period of time for compliance is comparable to Article 21(3) of the WTO dispute settlement understanding, although the DSU rules have different time limits and a suggested guideline period for compliance (15 months). Paragraph 4 can be compared to Article 21(6) of the WTO dispute settlement understanding, which provides for more detailed review of compliance with a DSU ruling. 1. The respondent shall notify the complainant before the end of the reasonable period of time of any measure that it has taken to comply with the arbitration panel ruling. 2. If, at the end of the reasonable period, the complainant considers that the respondent has failed to comply with the arbitration panel ruling referred to in Article 173, the complainant may request the original arbitration panel in writing to rule on the matter. The arbitration panel shall notify its ruling to the Union and the United Kingdom within 90 days of the date of submission of the request. 3. In the event of the original arbitration panel, or some of its members, being unable to reconvene to consider a request under paragraph 2, a new arbitration panel shall be established as set out in Article 171. The time limit for notifying the ruling shall be 60 days from the date of establishment of the new arbitration panel. 4. Where a case referred to the arbitration panel pursuant to paragraph 2 raises a question of interpretation of a concept of Union law or a question of interpretation of a provision of Union law referred to in this Agreement, Article 174 shall apply mutatis mutandis. Comment: the settlement of a possible dispute over whether the losing party has in fact complied with its obligations is not expressly dealt with in the WTO dispute settlement rules, but a practice has developed of assessing this issue as part of disputes over retaliation. The EU has an interest in setting out express rules on this issue because it was involved in such disputes in the WTO (notably in the case of the EU’s banana import regime). Note the possible need to ask the CJEU about EU law issues again. 1. If the arbitration panel rules in accordance with Article 177(2) that the respondent has failed to comply with the arbitration panel ruling referred to in Article 173, at the request of the complainant it may impose a lump sum or penalty payment to be paid to the complainant. In determining the lump sum or penalty payment, the arbitration panel shall take into account the seriousness of the non-compliance and underlying breach of obligation, the duration of the non-compliance and underlying breach of obligation. (b) parts of any other agreement between the Union and the United Kingdom under the conditions set out in that agreement. The notification shall specify the provisions which the complainant intends to suspend. Before deciding to suspend parts of an agreement referred to in point (b) the complainant shall first consider whether the suspension of the provision of this Agreement in accordance with point (a) would be an appropriate response to the breach. Any suspension shall be proportionate to the breach of obligation concerned, taking into account the gravity of the breach and the rights in question and, where the suspension is based on the fact that the respondent persists in not complying with the arbitration panel ruling referred to in Article 173, whether a penalty payment has been imposed on the respondent and has been paid or is still being paid by the latter. The complainant may implement the suspension at any moment but not earlier than 10 days after the date of the notification, unless the respondent has requested arbitration under paragraph 3. 3. If the respondent considers that the extent of the suspension set out in the notification referred to in paragraph 2 is not proportionate, it may request the original arbitration panel in writing to rule on the matter. Such request shall be notified to the complainant before the expiry of the 10-day period referred to in paragraph 2. The arbitration panel shall notify its ruling to the Union and the United Kingdom within 60 days of the date of submission of the request. Obligations shall not be suspended until the arbitration panel has notified its ruling, and any suspension shall be consistent with the arbitration panel ruling. 4. In the event of the original arbitration panel, or some of its members, being unable to reconvene to consider a request under paragraph 2, a new arbitration panel shall be established as set out in Article 171. In such cases, the period for notifying the ruling shall be 90 days from the date of establishment of the new arbitration panel. 5. The suspension of obligations shall be temporary and shall be applied only until any measure found to be inconsistent with the provisions of this Agreement has been withdrawn or amended, so as to achieve conformity with the provisions of this Agreement, or until the Union and the United Kingdom have agreed to otherwise settle the dispute. Comments: this Article provides for escalating penalties in the case of continued breach of the agreement. First of all, para 1 provides for imposition of a fine upon the party which has been found to have breached the agreement and not to have fixed its breach within the reasonable time period. This penalty is imposed by the arbitrators, apparently at the same time when they consider whether the breach is continuing (this is similar to WTO practice). However, unlike the WTO, the arbitrators impose the penalty as such; it is not negotiated by the parties (compare to Article 23(2) of the WTO dispute settlement understanding). The wording of para 1 has some similarities to Article 260 TFEU (fines for not complying with a prior CJEU judgment) and the criteria resemble those developed by the CJEU case law on this provision (which I discussed here). However, there is no express reference to CJEU case law or to EU law here. This process differs from that in the March draft, where the UK or EU could go to the CJEU and ask it to rule on a breach of its previous ruling on dispute settlement under the withdrawal agreement, with the Court applying a fine if the argument was upheld. Paragraph 2 escalates by providing for retaliation, in the event that the losing party refuses to pay a fine after one month or has not implemented a ruling confirming that it is still in breach of the agreement six months after that ruling was handed down. Note that it is not permissible to retaliate by suspending citizens’ rights, and retaliation under a future treaty is possible if that treaty provides for it. Retaliation also has to be proportionate. Compare to Article 22(3) to (6) of the WTO dispute settlement rules. The proportionality of the retaliation is guaranteed by para 3, which provides for arbitration if the losing party thinks that the retaliation levied against it is excessive. Compare to Article 22(6) and (7) of the WTO dispute settlement rules. Using the arbitrators is a change from the original draft proposal, which was to have judicial review by the CJEU of retaliation. Note that there is no reference to the CJEU here; the assumption is probably that the proportionality of retaliation is not an EU law issue that the Court would have to be involved in interpreting. Para 5 on the temporary nature of retaliation can be compared to Article 22(8), first sentence, of the WTO dispute settlement rules. 1. Where the complainant has suspended obligations in accordance with Article 178 or where the arbitration panel has imposed a penalty payment on the respondent in accordance with Article 178(1), the respondent shall notify the complainant of any measure it has taken to comply with the ruling of the arbitration panel and of its request for an end to the suspension of obligations applied by the complainant or to the penalty payment. 2. If the Union and the United Kingdom do not reach an agreement on whether the notified measure brings the respondent into conformity with the provisions of this Agreement within 45 days of the date of submission of the notification, either party may request the original arbitration panel in writing to rule on the matter. Such request shall be notified simultaneously to the other party. The arbitration panel ruling shall be notified to the Union and the United Kingdom and to the Joint Committee within 75 days of the date of submission of the request. (b) the penalty payment shall be terminated on the day after either the ruling of the arbitration panel or the end of the 45-day period. 3. In the event of the original arbitration panel, or some of its members, being unable to reconvene to consider a request under paragraph 2, a new arbitration panel shall be established as set out in Article 171. The period for notifying the ruling shall in that case be 90 days from the date of establishment of the new arbitration panel. Comments: this is another issue not expressly addressed by the WTO dispute settlement rules: what happens if the losing party insists that it has now complied with the original ruling, but the winning party insists that it has not? The withdrawal agreement sends the issue back to arbitration, noting also that it might be necessary in this context to ask the CJEU to rule on interpretation of EU law. 1. The arbitration panel shall make every effort to take decisions by consensus. Where, nevertheless, a decision cannot be arrived at by consensus, the matter at issue shall be decided by majority vote. However, in no case dissenting opinions of members of an arbitration panel shall be published. 2. Any ruling of the arbitration panel shall be binding on the Union and the United Kingdom. The ruling shall set out the findings of fact, the applicability of the relevant provisions of this Agreement, and the reasoning behind any findings and conclusions. The Union and the United Kingdom shall make the arbitration panel rulings and decisions publicly available in their entirety, subject to the protection of confidential information. Comments: note the lack of dissenting opinions, in the event that that the arbitrators vote by a majority. The obligation for reasoned rulings is comparable to Article 11 of the WTO dispute settlement rules. The obligation to publish decisions (also WTO practice) is useful. 1. The members of an arbitration panel shall be independent, shall serve in their individual capacity and shall not take instructions from any organisation or government, and shall comply with the Code of Conduct set out in Part B of Annex IX. The Joint Committee may amend that Code of Conduct. 2. The members of an arbitration panel shall, as from the establishment thereof, enjoy immunity from legal proceedings in the Union and the United Kingdom with respect to acts performed by them in the exercise of their functions on that arbitration panel. 1. Without prejudice to paragraph 4, the authorities of the United Kingdom shall be responsible for implementing and applying the provisions of Union law made applicable by this Protocol to and in the United Kingdom in respect of Northern Ireland. 2. Without prejudice to paragraph 4, Union representatives shall have the right to be present during and receive, upon request, all relevant information relating to any activities of the United Kingdom authorities related to the implementation and application of provisions of Union law made applicable by this Protocol. The United Kingdom shall facilitate that presence of Union representatives and provide them with the information requested. Where the Union representative requests the United Kingdom authorities to carry out control measures in individual cases for duly stated reasons, the United Kingdom authorities shall carry out those control measures. 3. The practical working arrangements related to the exercise of the rights of Union representatives referred to in paragraph 2 shall be determined by the Joint Committee, upon proposal from the Specialised Committee. 4. As regards Article 6(2), and Articles 8 to 12 of this Protocol, as well as Article 7(1) of Annex 4 to this Protocol in respect of measures of the Member States, the institutions, bodies, offices, and agencies of the Union shall in relation to the United Kingdom, and natural and legal persons residing or established in the territory of the United Kingdom, have the powers conferred upon them by Union law. In particular, the Court of Justice of the European Union shall have jurisdiction as provided for in the Treaties in this respect. The second and third subparagraphs of Article 267 TFEU shall apply to and in the United Kingdom in this respect. 5. Acts of the institutions, bodies, offices, and agencies adopted in accordance with paragraph 4 shall produce in respect of and in the United Kingdom the same legal effects as those which they produce within the Union and its Member States. 6. When representing or assisting a party in relation to administrative procedures arising from the exercise of the powers of the institutions, bodies, offices, and agencies of the Union referred to in paragraph 4, lawyers authorised to practise before the courts or tribunals of the United Kingdom shall in every respect be treated as lawyers authorised to practise before courts or tribunals of Member States who represent or assist a party in relation to such administrative procedures. (b) lawyers authorised to practise before the courts or tribunals of the United Kingdom may represent or assist a party before the Court of Justice of the European Union in such proceedings and shall in every respect be treated as lawyers authorised to practise before courts or tribunals of Member States representing or assisting a party before the Court of Justice of the European Union. Comments: this Article applies from the end of the transition period, except para 3, which applies as soon as the withdrawal agreement enters into force (see Article 185). They key provision for the Court is para 4, which retains the Court’s jurisdiction over parts of the Protocol. More precisely, the Court’s jurisdiction applies to: the specific provisions on customs and movement of goods relating to Northern Ireland (Article 6(2)); technical regulations, VAT and excise law, agriculture and environmental law, electricity market, and State aid law as applicable to Northern Ireland (Articles 8 to 12); and State aid (Article 7(1) of Annex 4), “in respect of measures of the Member States”. 3. Notwithstanding Articles 4(4) and 4(5) of the Withdrawal Agreement, the provisions of this Protocol referring to Union law or concepts or provisions thereof shall in their implementation and application be interpreted in conformity with the relevant case law of the Court of Justice of the European Union. Comment: the other provisions of Article 15 of the protocol are not reproduced. This provision differs from Article 4 in that all CJEU judgments, even after the end of the transition period, continue to apply within the scope of the Protocol. Article 15 itself applies from the end of the transition period. Comment: the other provisions of Article 1 of the protocol are not reproduced. Like Article 15 of the Northern Ireland protocol, this provision differs from Article 4 in that all CJEU judgments, even after the end of the transition period, continue to apply within the scope of the Protocol. Article 1 itself applies from the end of the transition period. Comments: this Article applies from the end of the transition period. Like Article 14 of the Northern Ireland protocol, it retains the Court’s jurisdiction for the Protocol, although unlike the other provision it applies to the whole protocol, not selected parts of it.